Building a frog house is a way to invite frogs to visit and set up residency in your yard. The concept is similar to planting a butterfly garden or hanging a birdhouse in your tree. Frog houses give the frogs a safe place to go to get away from predators like cats and snakes. 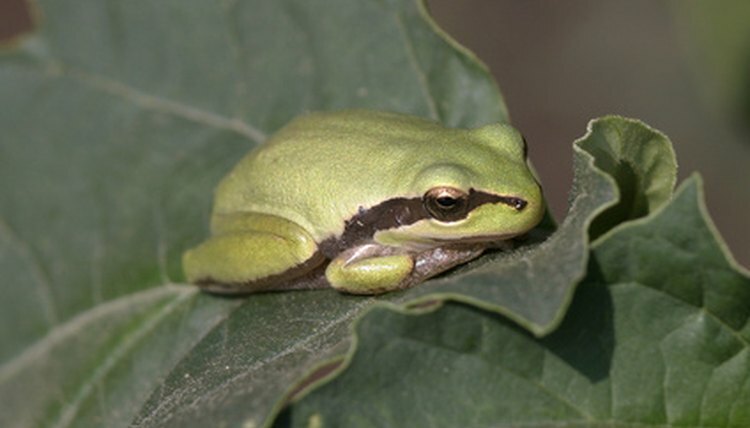 If you want to attract frogs to your yard, you can easily build your own frog house out of either a terra-cotta pot or a PVC pipe, which requires very little money and effort. Soak a medium sized terra-cotta pot in a bucket of water for an hour. Soaking the pot makes it a bit softer and easier to cut. Draw an arched line on the side of your pot that runs from 1 inch in from the top of the pot, then down the pot about 1 and 1/2 inches. The exact shape is up to you. However, you should be making an arched shape out of one side of the pot which will be your door for the house. Use a jigsaw with a blade made for cutting tile to saw along this line. Cut along the entire line until you have cut out an arched shape out of the side of the pot. If the edges are rough, you can use sandpaper to smooth them out. Place the dish part of the terra-cotta pot where you want your frog house to be placed in your yard. Fill the dish with a quarter inch of water. This will keep your pot moist on warm days. Turn your pot upside down and place it in the dish. The frogs can enter through the door you made. Add additional water to the dish as needed. Cut one end of a 3-foot piece of PVC pipe on a 45-degree angle. The pipe should be 1 and 1/4 inches in diameter. Choose a location for your frog house, such as in a flower bed or near tall plants or trees. Use a rubber mallet to hammer the cut end of your pipe into the ground until it will stand upright on its own. If you would like, you can paint the outside of the pot or PVC pipe with acrylic paints for decoration. Do Frogs Really Sit on Lily Pads?